1. Line a square baking pan with parchment or strong foil. 2. Spread the granola over the base of the tin. 3. Whizz the other ingredients in a blender or smoothie maker and carefully spread over the granola. 4. Freeze for approximately four hours, until firm. Cut into squares when ready to serve. Greek yoghurt is a great choice for very active people, with high levels of protein per serving size and a good amount of calcium and vitamin D. These little bites are very handy to have ready in the freezer – when you first make them, cut them into portions and pop them all back in the freezer, individually wrapped, so you can grab and go. You’ve most likely heard about blueberries being a super food ..here’s why. 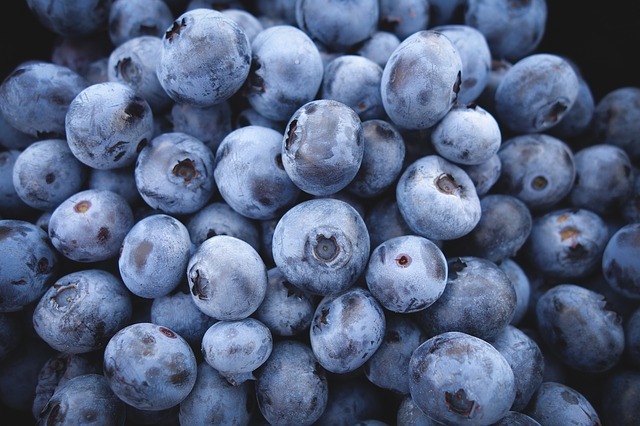 A great source of vitamin K, blueberries contain heaps of anti-oxidants, and are also an important source of manganese. Manganese is central in bone development, plus it converts fats and carbohydrates into energy. Practically fat-free, their anti-oxidants work in order to neutralise free radicals, who are those nasty guys who pretty much exacerbate any age related condition, including the likes of cardiovascular disease and cancer. Additionally they can aid in preventing UTIs (urinary tract infections), and studies have shown that blueberries boost brain health.